Obesity and Chronic Pain - Center for Pain Medicine, P.A. Obesity is a risk factor to many major health conditions such as coronary artery disease, diabetes, and hypertension, just to name a few. Most recently obesity has been linked to chronic pain, even in otherwise healthy individuals. Obesity is on the rise not only in the U.S. but, according to the World Health Organization, around the world. Obesity is a risk factor to many major health conditions such as coronary artery disease, diabetes, and hypertension, just to name a few. Most recently obesity has been linked to chronic pain, even in otherwise healthy individuals. While not sited as a direct cause of chronic pain, obesity makes it more likely a person will develop chronic conditions that may cause pain. These conditions include arthritis, fibromyalgia, back pain, migraines and other musculoskeletal degradations. Obesity can also contribute to depression, which is also a precursor to the afore-­‐mentioned conditions. The CDC defines “overweight” as a “label for a range of weight that is greater than what is considered to be healthy for a given height.” As the body frame carries more weight than the structure can handle, stress occurs. While the muscles struggle and bones wear, joints compress and alignment shifts. When our “drive train” – neck, spine, back, hips, and knees – becomes misaligned, inflammation begins. When muscles become inflamed, tissue swells and nerves are pinched. As the electric pain shoots through the body from the impinged nerves, muscles tighten and further compensation ensues. This is the vicious cycle of pain and negative adaption that is compounded by extra weight and exploited weaknesses from foot arches to knee ALC’s and herniated discs to cervicogenic headaches. The relationship between pain and obesity is not linear, but complex. 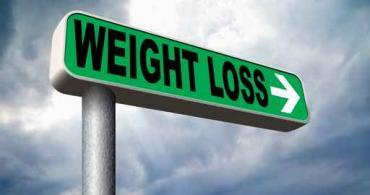 An overweight person is less likely to be active, which often escalates weight gain. Upon movement, an overweight person is also more likely to experience inflammation, which exacerbates the pain of the underlying conditions. While the physics and statistics may seem overwhelming, a recent study shows that even small efforts in weight loss can return significant benefits in pain reduction. As shown in an 18-­‐month Arthritis, Diet, Activity Promotion Trial of 2004, even a 5% weight loss in participants resulted in a 30% reduction in pain. Weight loss is the most promising offensive strategy in staving off the pain associated with many major health conditions.